Phone calls between relatively low-level diplomats are normally not newsworthy. But Monday's conversation between U.S. Undersecretary of State Victoria Nuland and Russian Deputy Foreign Minister Grigory Karasin on the simmering conflict in Ukraine is an exception. The bilateral nature of the conversation and its timing amid mounting claims of cease-fire violations from the Ukrainian government and separatist forces makes it uniquely significant. Moreover, it reaffirms that the evolution of the Ukrainian conflict - whether toward a settlement or toward escalation - will be most strongly shaped not by Kiev but by the actions of and relationship between Moscow and Washington. However, this practice may have changed over the weekend, when Russian Presidential Chief of Staff Sergei Ivanov said in an interview that Russia and the United States had come to an agreement to set up a "special bilateral format" of talks between the two countries - talks that would involve Nuland and Karasin. In explaining the formal announcement, Ivanov said that expanding the Normandy format to include the United States would simply be too "risky," adding that the two countries would coordinate talks on Ukraine bilaterally "for the time being." Thus the phone call between Nuland and Karasin took place to discuss the implementation of the Minsk agreement and the constitutional reform process in Ukraine, with further discussions likely to follow. In the natural progression of a country to take its rightful place in the world hierarchy by the middle of the next decade, India has no alternative but to make its processes simple, productive, modern and cost effective. Having a robust National War Doctrine will be the fitting measure to eradicate systemic inadequacies and the pitfalls of short term and tenure based thinking of retiring senior executives in the government. A Military Doctrine is only a component to achieve the aims of the country’s all encompassing and multi-dimensional War Doctrine. A good War Doctrine helps to prevent War whereas a good Military doctrine will help to achieve victory in the event of a war. Making economic progress of high order and promotion of social equity under the democratic framework demands that India pays serious attention to this little understood aspect of power play. Digital India is by far the most ambitious indigenous program PM Modi has launched with a far-reaching impact connecting Indian hinterland to the government services as well as to the rest of the country leveraging technology. The program also faces a series of hurdles, which are onerous, and every hurdle in its own right can derail the entire program. For summer and fall 2015, The Diplomat presents “Southeast Asia: Refugees in Crisis,” a series of exclusive articles from scholars and practitioners tackling Southeast Asia’s ongoing refugee crisis. Launched by former ASEAN Secretary-General Surin Pitsuwan and designed with the assistance of students from Harvard University and Oxford University, the series aims to give the readers a sense of the various dimensions of this complex issue. In our first piece, former ASEAN Secretary-General Surin Pitsuwan and The Diplomat’s associate editor Prashanth Parameswaran launch the series with a framing article on the issue. In May 2015, thousands of Rohingya refugees from the Rakhine State of Myanmar and economic migrants from Bangladesh were found stranded in the Strait of Malacca off the coast of Thailand, Malaysia and Indonesia. This was the start of the latest round of Southeast Asia’s refugee crisis. The image of the overcrowded, shabby boats full of people – haunted and hungry, faced with dwindling supplies of food and water – seized the world’s attention. 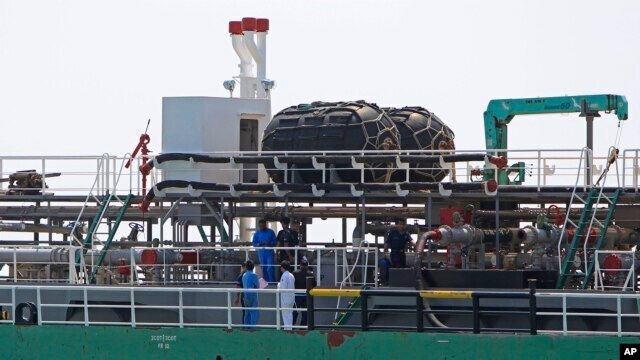 Pirates continue to hijack a coastal tanker on the average of once every two weeks to steal their cargo of fuel, according to data released Wednesday by the International Maritime Bureau’s Piracy Reporting Center. A total of 134 incidents of piracy and armed robbery globally were reported to the center from January through June, an increase from 116 during the same period last year. So far this year, 250 crew members have been taken hostage with one fatality and nine injuries. Eleven out of the 13 hijackings reported in the first half of the year were in Southeast Asia. 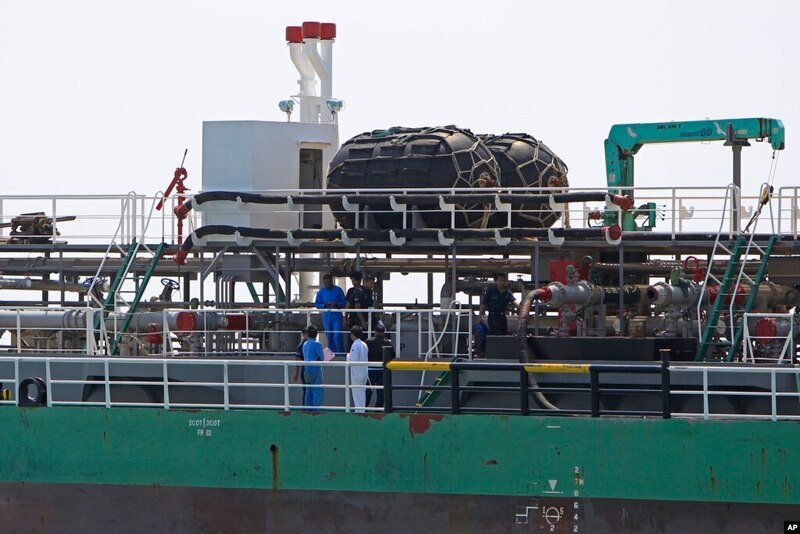 “The serious attacks are the hijackings of the tankers in Southeast Asia and this year there has been a higher number in the first two quarters of this year than in the first two quarters of 2014” said IMB director Pottengal Mukundan in London. The New Japan: Will China's Economy Implode? The risk of “Grexit” may have rattled financial markets, but for the Asia-Pacific region, an even bigger and closer threat is giving policymakers sleepless nights. Memories of Japan’s bubble-to-bust have been revived by China, which like its neighbor has enjoyed a massive stock and property bubble that is now rapidly deflating. And with the communist giant currently the world’s second-largest economy and major trading partner to most of the countries in the region, the fallout from China’s downturn could be extremely damaging, hitting sectors from commodities to property, curbing investment flows and likely dragging down the rest of the region with it. Comparing the prospect of “Grexit” compared to a China crisis, Bloombergcolumnist William Pesek put it into perspective. “The world, after all, has had a few years to contemplate a Greek exit from the euro. But if the world’s biggest trading nation suddenly hit a wall, it would be a catastrophe of a different order, wreaking havoc on economies near and far,” he said. VANCOUVER – A British Columbia judge is concerned that assistance from the United States in extraditing an accused Chinese spy has more to do with inadequate RCMP resources than Canada’s international obligations. B.C. Supreme Court Justice Terence Schultes said on Tuesday he wouldn’t accept that the Mounties don’t have the ability to translate the equivalent of more than 300,000 pages of seized information from Canadian permanent resident Su Bin. The United States wants to extradite Su to face trial over accusations he masterminded a plot to steal military trade secrets from several American defence contractors. The Canadian government has asked the court to OK a team of U.S. investigators to help the RCMP extract and translate reams of data found on Su’s seized electronics, written predominately in Chinese characters. That information would then be used by the courts to decided whether to extradite him. Months after the discovery of a massive breach of U.S. government personnel records, the Obama administration has decided against publicly blaming China for the intrusion in part out of reluctance to reveal the evidence that American investigators have assembled, U.S. officials said. The administration also appears to have refrained from any direct retaliation against China or attempt to use cyber-measures to corrupt or destroy the stockpile of sensitive data stolen from the Office of Personnel Management. “We have chosen not to make any official assertions about attribution at this point,” said a senior administration official, despite the widely held conviction that Beijing was responsible. The official cited factors including concern that making a public case against China could require exposing details of the United States’ own espionage and cyberspace capabilities. The official was among several who spoke on the condition of anonymity to describe internal deliberations. As Shannon Tiezzi noted earlier today, the Japanese Ministry of Foreign Affairs released a statement clarifying assertions made in the recently released Japanese defense white paper about China’s construction of offshore gas platforms in the East China Sea. The white paper, as Franz-Stefan Gady highlighted, focuses extensively on the threat Japan perceives from China. According to Tokyo, the work (believed to have begun in 2013) violates a 2008 bilateral agreement for joint natural resource development in the East China Sea. Japan’s choice to highlight the offshore rigs as an example of Chinese assertion—similar to China’s island-building and extensive construction work on features it occupies in the South China Sea—is an odd one. On Monday, the UN Security Council adopted a resolution officially endorsing the Iran deal which was negotiated over the course of nearly two years by the five UNSC permanent members (China, France, Russia, the United Kingdom, and the United States), Germany, and Iran. (For The Diplomat’s coverage of the Iran deal itself, see here and here). The deal, called “historic” by UN Secretary-General Ban Ki-moon, would see Iran accept limitations on its nuclear program in exchange for relief from international sanctions. In praising the deal, Ban also took time in his statement to applaud all the negotiating parties. “I know that an immense amount of work went into this and I admire the determination and the commitment of the negotiators as well as the courage of the leaders who approved the deal,” Ban said. With the collapse of stock markets, China is likely to become more aggressive in its export efforts through under-pricing. 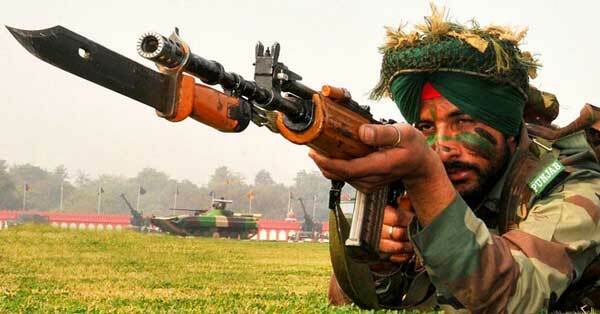 India will have to watch out. The unprecedented collapse of Chinese stock markets since mid-June 2015 has created considerable disturbance in the global economic scenario. This has happened even while the ultimate plot of the Greek Tragedy was still being scripted. In just three weeks, stocks listed on China’s two prominent exchanges tumbled, losing out almost one-third of their market capitalization. In terms of absolute value, the loss of market cap was estimated at US$3.2 trillion or twice the size of India’s current market cap. Over 1400 companies or about half of the listed companies had called halting of trading to stem a further downfall. The securities regulator had also warned of a “panic sentiment” gripping investors. In the last few days, however, there has been some recovery, but the underlying sentiments are found to be one of apprehension and uncertainty about the emerging financial and economic scenario. Some analysts believe that the Chinese stocks markets are undergoing a much needed “correction” of earlier irrational exuberance. Illustratively, witness the fact that there was an unprecedented surge recorded in a short time of little over six months – the Shanghai Composite Index zoomed by over 108 per cent from mid-November 2014 to reach an all-time high of 5,166 by mid-June 2015. It collapsed thereafter to a low of 3,878 by mid-July 2015, and has since been hovering in the range of 3990 and 4275. An MQ-1 drone crashed in southeastern Iraq after losing communication last week, Pentagon officials said Tuesday. Defense Department spokesman Army Maj. Roger Cabiness confirmed the news in a statement to The Hill after photos of the downed aircraft surfaced on Twitter accounts based out of Iraq. “There were no weapons on board the aircraft. We are working with Iraqi authorities to recover the aircraft,” Cabiness said in a statement. Earlier in the day, at least two Twitter users posted photos of the drone reportedly in the Iraqi town of Samawa, about 200 miles south of Baghdad. HADITHA, Iraq — One by one, the cities around this Iraqi town have fallen. Fallujah. Ramadi. The walled community of Hit. Islamic State fighters have slaughtered thousands of people as they have tightened their grip on Iraq’s western province of Anbar. But Haditha has remained an outpost of resistance. Its local tribes and the beleaguered Iraqi army have fought doggedly in the face of persistent attacks. Perhaps even more importantly, the U.S.-led coalition and Iraqi government have been determined to prevent its large hydroelectric dam from falling to the insurgents. The people of Haditha, though, are struggling to survive in a town largely cut off from the outside world. Meanwhile, the Islamic State has singled it out as its next target. The Al Nusrah Front, al Qaeda’s official branch in Syria, claims to have shot down an unmanned aerial vehicle (UAV) operated by the Syrian regime. The Twitter feed for Al Nusrah’s “correspondent” in Latakia, a coastal province that has long been a stronghold for the Assad regime, posted four pictures of the drone. The photos can be seen here. 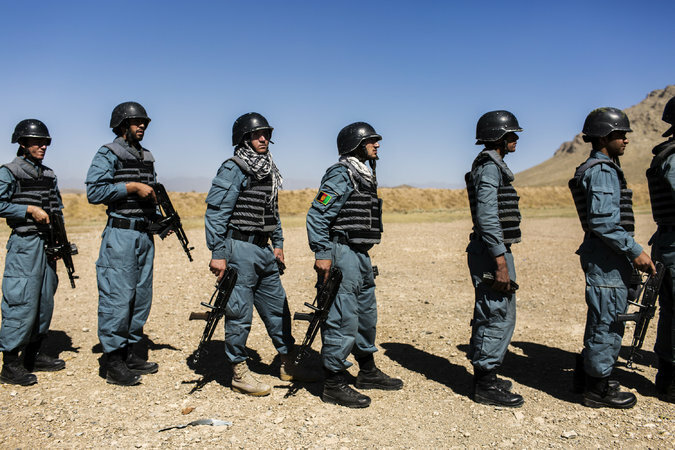 Disturbances on the expansive, 744 kilometer Turkmen-Afghan border have been growing at an alarming rate, sparking security concerns about conflict spillover from the ongoing war in Afghanistan. In Turkmenistan, a neutral, isolationist foreign policy has left the state with little room to maneuver, resulting in an expansion of the military draft, rather than bringing in outside support. RFE/RL’s Turkmen service, known locally as Azatlyk, reported that boys above the age of 18 who have not yet served in the military will no longer be entitled to study outside the country. According to a leaked government census from 2012, over 42,000 Turkmen students were studying abroad annually. The majority of these studying abroad were privately funded, with the government sponsoring just 2,000 students. Ukraine, the most popular destination for Turkmen students, received over 13,000, followed by Belarus with 10,000 enrolled in the country’s universities. Russia, Turkey, and Malaysia were other popular destinations. Internally, only 7,128 of the country’s 100,000 annual high-school graduates are enrolled in Turkmenistan’s universities. But there are degrees of imperfect, and the diplomatic option structured by the Obama team — if properly implemented and augmented by muscular diplomacy — serves core American interests better than any options I hear coming from the deal’s critics: It prevents Iran from producing the fissile material to break out with a nuclear weapon for 15 years and creates a context that could empower the more pragmatic forces inside Iran over time — at the price of constraining, but not eliminating, Iran’s nuclear infrastructure and sanctions relief that will strengthen Tehran as a regional power. A Russian court on Wednesday began hearing a treason case against a former military engineer who is accused of giving away state secrets to a Swedish company in a letter seeking employment. The Moscow City Court held a preliminary sitting into whether Gennady Kravtsov committed treason, his lawyer Ivan Pavlov said. The entire case is classified and will be closed to the media. Kravtsov quit his job as a military engineer in 2005 and then applied for work abroad, Pavlov said. “He sent a letter in 2010 to one Swedish organisation asking if they would be interested in inviting him to work,” he told AFP. The defence argues that the information in the letter did not contain state secrets. Kravtsov was born in 1968 and has three children, Pavlov added. Some Russian media have said that Kravtsov was working for the Main Intelligence Directorate (GRU), Russia’s military intelligence agency. There is one person, however, that firmly and sincerely believes that the agreement that was signed by all of the parties is a bad one. And he represents the state of Israel, America’s closest ally in the Middle East: Prime Minister Benjamin Netanyahu. WASHINGTON — President Obama is enjoying a winning streak lately, with the Supreme Court reaffirming his signature health care law and Iran agreeing to curbs on its nuclear program. But one longstanding goal continues to bedevil him: closing the wartime prison at Guantánamo Bay, Cuba. The administration’s fitful effort to shut down the prison is collapsing again. Ashton B. Carter, in his first six months as defense secretary, has yet to make a decision on any newly proposed deals to transfer individual detainees. His delay, which echoes a pattern last year by his predecessor, Chuck Hagel, is generating mounting concern in the White House and State Department, officials say. WASHINGTON (AP) — Nigerian President Muhammadu Buhari said Tuesday a multinational African force will be in place within 10 days to take the fight to the Islamic extremist group Boko Haram that has killed thousands and was behind the abduction of hundreds of schoolgirls. Buhari predicted in an interview with The Associated Press that Boko Haram would be defeated in 18 months or less. But he conceded that Nigerian authorities lack intelligence about the girls still missing after the mass-kidnapping from the northern town of Chibok in April 2014 — an act that stirred international outrage and a campaign to “Bring Back Our Girls” that reached as far as the White House. He said his government is open to freeing detained militants in exchange for the girls’ freedom, but only if it finds credible Boko Haram leaders to negotiate with. “I think Nigeria will make as much sacrifice as humanly possible to get the girls back. This is our main objective,” Buhari said, a day after meeting with President Barack Obama. Buhari spoke at the presidential guest house opposite the White House in a room decorated with murals of ceremonial Washington. He wore a traditional embroidered hat, popular among Muslims in northern Nigeria. Republican and Democratic U.S. senators introduced legislation on Wednesday to give the Department of Homeland Security more authority to protect government Internet addresses, hoping to prevent more cyber attacks like recent massive breaches at the government’s hiring office. Katherine Archuleta, the chief of the Office of Personnel Management (OPM), resigned earlier this month after the computer hacks, possibly linked to China, put the personal data of some 22 million Americans at risk. The attacks prompted calls in Congress for huge improvements in monitoring and protection of government systems. “This cyber attack points to a broader problem,” said Republican Senator Susan Collins, one of the bill’s lead sponsors. Among other things, the legislation would give the DHS the authority to monitor all federal agencies in the “dot-gov” Internet domain, and operate defensive countermeasures. Currently, each agency monitors its own networks and then requests help from the DHS if it feels it needs it. North Korea is preparing to launch a new, long-range rocket, possibly in October, having completed an upgrade at its main satellite launch base, South Korea’s Yonhap news agency reported Wednesday. Any such launch would almost certainly be viewed by the international community as a disguised ballistic missile test and result in the imposition of fresh sanctions. Quoting an unnamed government source, Yonhap cited “credible intelligence” that North Korean leader Kim Jong-Un had ordered the launch of a satellite to mark the 70th anniversary of the founding of the North’s ruling Workers’ Party on October 10. “We think (the North) will carry out a provocation around the 70th anniversary,” the source said. The South Korean Defence Ministry declined to confirm or deny the Yonhap report. “As to the construction of North Korea’s long-range missile launching facilities, we’ve been watching the North’s moves very closely,” a ministry spokesman said. The following post was penned by Rob Callahan, a Medical Service Corps officer in the United States Army. The views expressed here are his own and do not necessarily reflect those of the Department of the Army or the Department of Defense. COL Chip Bircher recently discussed the importance of Selfless Service in the military. [i] In the hopes of furthering the professional and ethical dialogue surrounding Selfless Service, he proposed refining the definition of this virtue to further emphasize “placing the needs of the Nation and the Army ahead of one’s personal goals.” I would like to add my voice to the discussion the Colonel started, but I must respectfully disagree with his recommendation. Selfless Service is definitely an important motivator for military service, but I personally feel service to the nation and service to the military should not be confused. You serve the Nation, you serve in a branch of the military. Equating the needs of the military branches and the Nation ignores the possibility of these needs being at odds. I believe the outspokenness of some millennial service members stems from a desire to protest when it appears that the wants and needs of the military are running counter to those of the nation. Ever seen WarGames? Remember at the end of the movie when Matthew Broderick's character has tricked the malfunctioning supercomputer W.O.P.R. to simulate all permutations of global thermonuclear war, and it just starts flashing up a neon-hued light and laser show of all possible armageddons, faster than the eye can comprehend? That's a lot what looking at the Norse Attack Map is like, but the lines flashing between counties aren't ICBMs. They're cyber attacks. And at any given moment, there are more of them flying between countries than all the nukes that have ever existed. Developed by Norse Corp., a company dedicated to monitoring and providing intelligence on global cyber warfare, the Attack Map shows in real-time all the cyber attacks currently happening on the Norse network: where the attacks originate, where they're going, what kind of attacks they are, and so on. Each shooting streak of light is color coded after a different kind of attack: telnet is green, http-proxy is aqua, unknown is purple, and so on. Raytheon Missile Systems' scientists have used 3D printing to create almost every component of a guided weapon, including rocket engines and fins, as well as parts for the guidance and control systems. The move forms part of a companywide push into 3D printing, also known as additive manufacturing, including projects intended to supplement legacy manufacturing processes. The technique is being considered to lay down conductive materials for electrical circuits, create housings for the company's gallium nitride transmitters, and fabricate fins for guided artillery shells. The technique enables engineers to make quick design and rapid changes, thereby reducing the costs associated with traditional manufacturing, such as machining of parts. Raytheon additive manufacturing and 3D printing engineer Travis Mayberry said in a statement: "You can design internal features that might be impossible to machine. 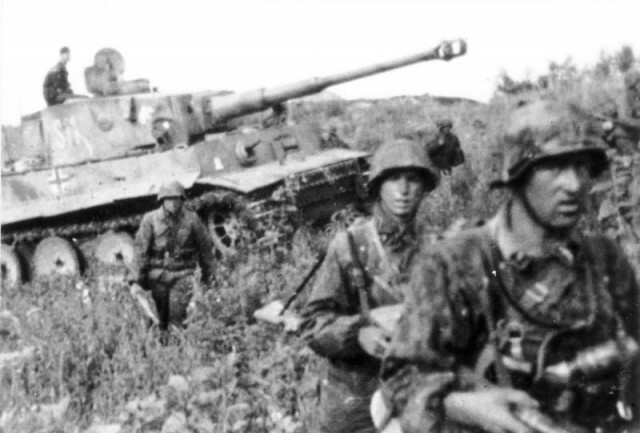 The Battles of Kursk were fought on the Eastern front near the town of Kursk in the Soviet Union. It started on July 5th 1943 and ended on August 23rd 1943.